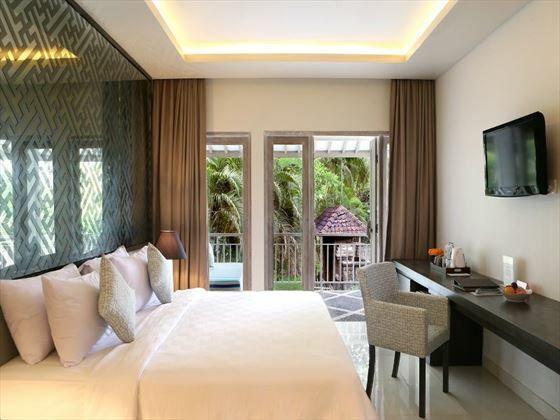 Located along the beautiful Sanur Beach, this stunning resort boasts a taste of Bali's naturally stunning coastline, whilst also creating a secluded hideaway with its luscious tropical flora. 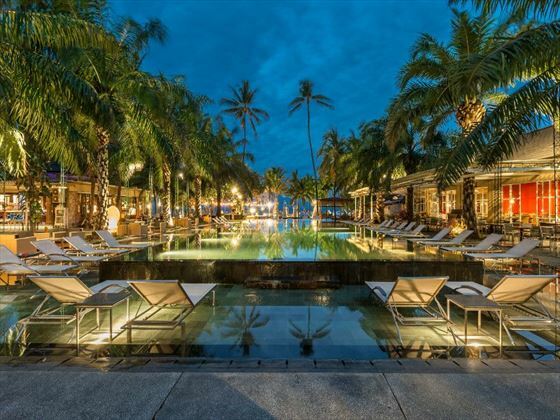 With such a wonderful setting, it's no surprise that the ambience here is relaxed and romantic. 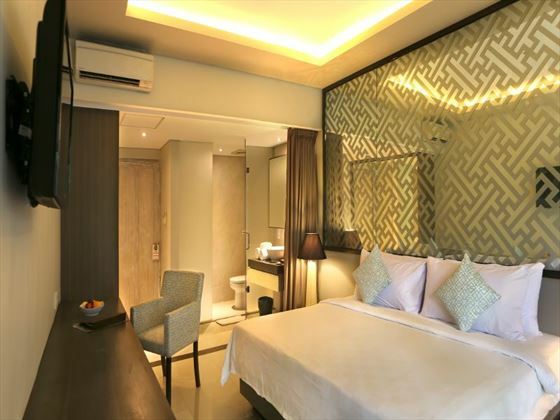 Deluxe rooms - located on garden or first level, deluxe room are trendy in design with a high quality finish. No detail has been overlooked. Each room has a private balcony or terrace. 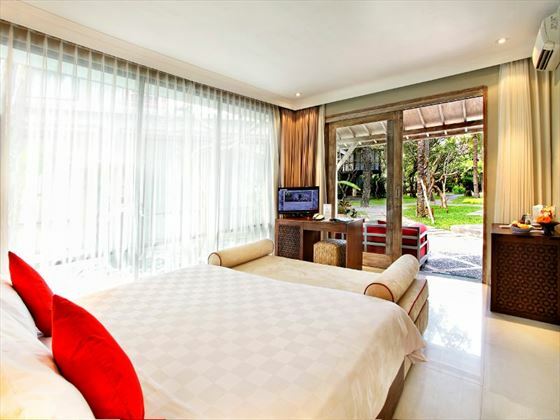 Located in two different locations, either conveniently close to the hotel's reception area or by the hotel's own traditional Balinese temple set in the gardens and slightly closer to the beach. 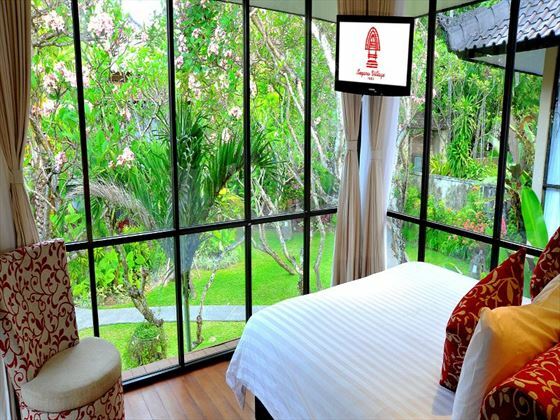 Bungalow Rooms - located in a tranquil courtyard, bungalow rooms are warm and inviting. Richly appointed with unique touches, you’ll find hand-hewn tropical hardwoods featuring intricate tribal patterns, sophisticated upholstered furnishings, top quality textiles, and an opulent en-suite with marble tiles surrounding the bathtub. All have a private balcony or terrace. Several garden level bungalows can be interconnecting to provide two bedrooms and two bathrooms, so are great for families or groups of friends travelling together. 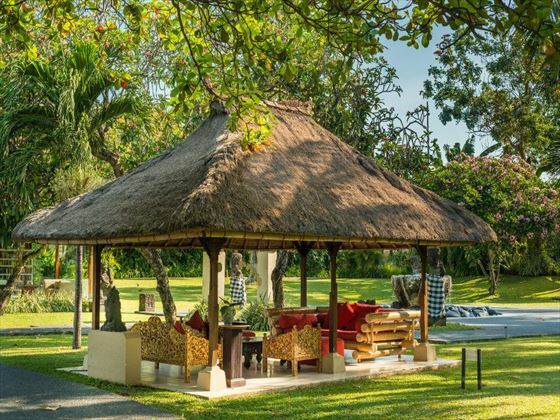 Some of the bungalows are two-storey featuring an open-air living area with an outside staircase that leads to the beautifully appointed bedroom. 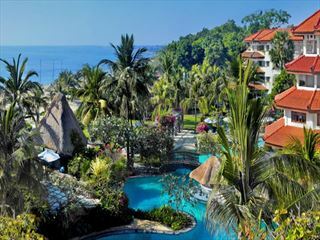 The Segara@Village 2 - a collection of bungalows situated in their own private courtyard with it's own pool, exclusively for Village2 guests. Upgrading to this room comes with exclusive guest benefits including separate check in and check out, special al carte breakfast in the restaurant, daily free low cocktails, canapes and afternoon tea (17.00-19.00) and a turn down bed service. 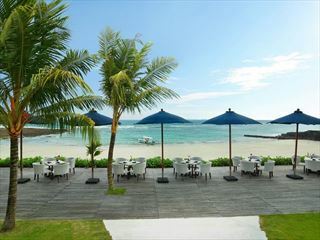 The Beach - This stylish, new oceanfront restaurant sits directly beside the beach side swimming pool. 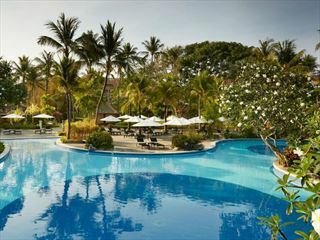 It offers an excellent breakfast buffet, the perfect place to watch Sanur’s famous sunrises. 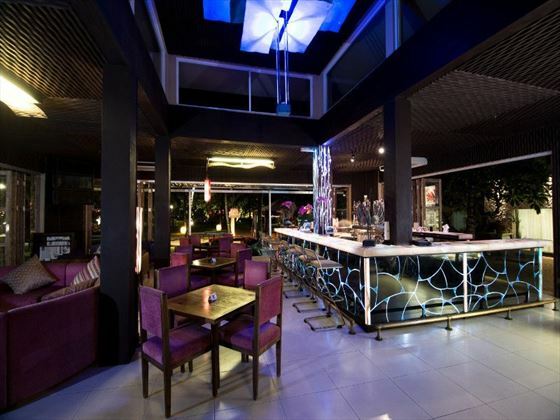 Signature international and Asian cuisine is served for lunch and dinner until 23:00 with a choice of indoor and outdoor dining spaces. Entertainment and cultural events on selected evenings. Poolside snack menu also available from 11:00 to 18:00. 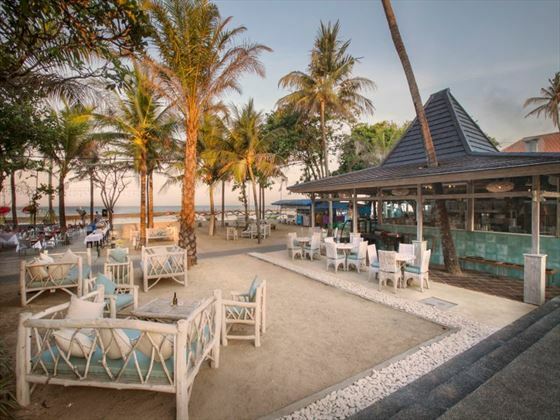 Beach Lounge & Bar - Guests can choose to keep cool and comfortable in cozy, air-conditioned lounge area, or watch the world go by at the ocean side bar. 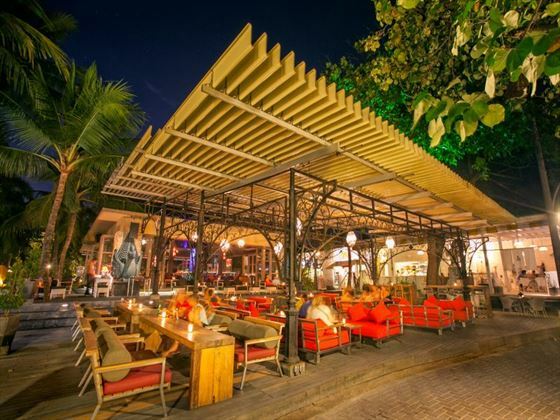 Seasonal tropical fruit drinks and exotic cocktails are the speciality of these drinking and entertainment venues. You are required to provide a copy of a valid Wedding Certificate upon check-in.